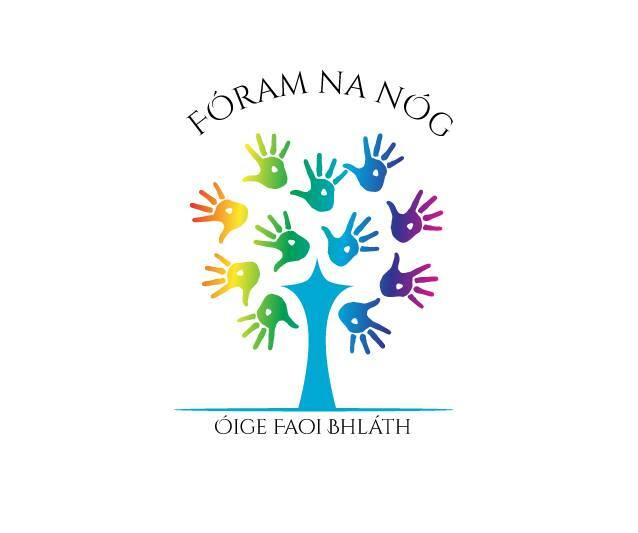 Rinne Fóram na nÓg cur i láthair ar na mallaibh in Ollscoil na Banríona, Béal Feirste. Léirigh an cur i láthair seo cén fáth gur chóir do dhaoine óga páirt a ghlacadh in obair óige trí mheán na Gaeilge, mar gheall ar na buntáistí don teanga agus don duine féin. Míneoidh fosta na deiseanna atá ar fáil do dhaoine san earnáil faoi láthair. Ina measc tá deiseanna chun obair dheonach a dhéanamh, tuilleadh scilleanna a fhoghlaim trí dul faoi oiliúnit, nó fiú fostaíocht a aimsiú tríd an obair seo. Rinneadh plé ar todhchaí na hearnála óige Gaeilge fosta agus na spriocanna atá ag Fóram na nÓg sna míosa is blianta atá le teacht. Go raibh céad maith agat do ghach duine a bhí i láthair. Fóram na nÓg recently did a presentation in Queen’s University Belfast. The presentation showed why young people should take part in youth work through the medium of Irish, because of the benefits for the language and for the person themselves. The opportunities available to people in the sector were also explained. This include opportunities to do voluntary work, learn new skills through undergoing training, and even finding employment through this work. The future of the Irish-medium youth sector was also discussed and the aims that Fóram na nÓg has for the months and years ahead. Many thanks to all who attended.